Now run by the seventh generation of the family, the Deakin & Francis jewelry label offers a wide selection of luxury accessories for men and women. 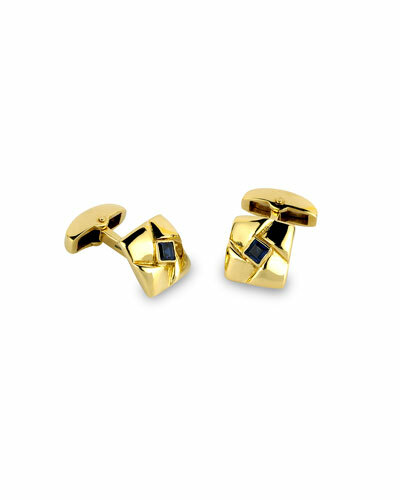 Deakin & Francis cufflinks are precisely engineered using the finest metals and enamels, and embellished with precious stones such as sapphire beads and diamond inlays. Engraved prints add a distinctive style, while bold motifs lend a lively and playful touch to the collection. 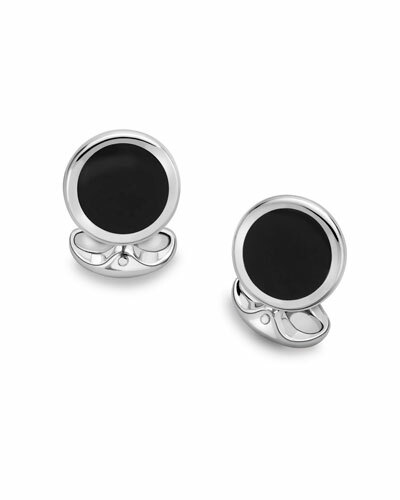 Shop Neiman Marcus’ selection of Deakin & Francis silver cufflinks for every occasion. 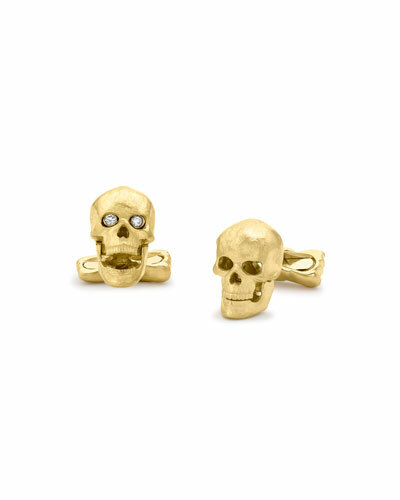 Cufflinks Inc. three-dimensional Day of the Dead sugar skull cuff links. Black and gold-plated sterling silver. Rhinestone eye details. Approx. Cufflinks Inc. three-dimensional Day of the Dead sugar skull cuff links. Black and gold-plated sterling silver. Rhinestone eye details. Approx. 5/8" x 3/4". Round swivel backs. Cufflinks Inc. officially licensed Superman® cuff links. Three-dimensional gold-plated Superman logo face at front. Green onyx inspired by kryptonite swivel backing. Sterling silver. Approx. 5/8" x 7/8" Imported. Cufflinks Inc. officially licensed Star Trek® cuff links. Three-dimensional Delta Shield Star front. Logo-embossed backing. Golden-plated base metal. Approx. 5/8"
Cufflinks Inc. officially licensed Star Trek® cuff links. Three-dimensional Delta Shield Star front. Logo-embossed backing. Golden-plated base metal. Approx. 5/8" x 1". Imported.